May and June have a lot of bank holidays in the Netherlands, and this year we decided to use one of the bank holiday weekends for a short road trip to Germany. It gave me to opportunity to visit the exhibition Art and Alchemy at the Düsseldorf Museum Kunstpalast, which alone was worth the trip. 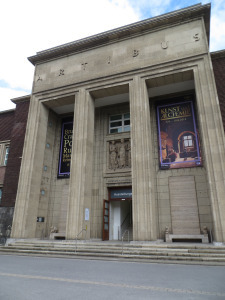 This extremely well-researched exhibition brings together unique documents and objects, like the Ripley Scrolls, the Leiden Papyri, porcelain, glass, distillation apparatus and historical and contemporary art works. As I have discussed before on this blog, alchemy was strongly connected to medicine in the early modern era, so this was an exhibition I definitely wanted to see. The curators have done a great job, visualizing the connections between early modern art, alchemy and medicine through intelligent matching of objects, images and texts. 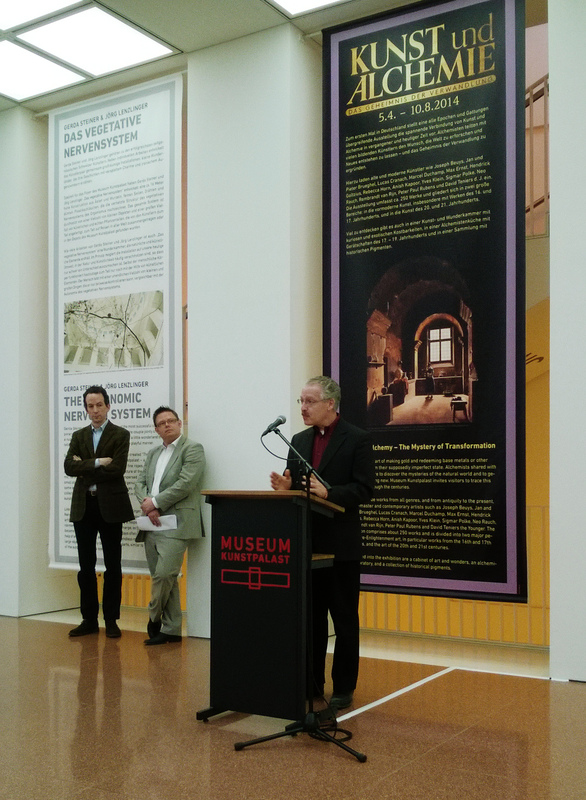 Before entering the exhibition, Lawrence M. Principe gave a very brief introduction on alchemy, while art historian Sven Dupré and curator Dedo von Kerssenbrock-Krosigk (right to left) expected their turns in the background. Yesterday I went on a pilgrimage to Düsseldorf to see the alchemy exhibition currently running at the Museum Kunstpalast. I chose this particular date because of an event announced as a book launch that actually turned out to be a guided tour through the exhibition. A handful of attendees had the privilege of being guided through the marvels of pre-modern alchemy by Sven Dupré and Lawrence M. Principe, who had himself contributed some exhibition pieces.